Sunny but wintry cold this weekend; the storms have passed through leaving blue-washed skies and marshy puddles across the grasslands. Ideally, it would be a day for touring a stately house or photographing a sheltered garden, all antiques and snowdrops, but the National Trust properties don’t really open before March. So, the open public spaces around the historic village of Cookham, far northwest Berkshire, are the only seasonal offering nearby. Their walking trails comprise the Commons, the Moor, and the Marsh: along with associated Green and Thicket. The complex is accessed from a car park at the trail head outside of town. Hedge-planting with traditional tools was on-schedule for today, but turned out to be sold-out. So, on to Cookham without the boots and workgloves. The village itself, with around 6000 inhabitants, is deemed Britain’s second-richest; it was home to the painter Stanley Spencer and inspiration for the Wild Wood of Grahaem’s Wind in the Willows. Cookham clusters along a quaint high street lined with gastropubs, tea rooms, cottages, and bridal shops. Nearby, an 11th Century Romanesque church straddles the way to the Thames River Walk; a high-ceremony-funeral was just letting out as we passed among the headstones in the churchyard. Late afternoon light was really lovely, sky reflecting deep blue from the water and highlighting the (£4 million) homes along the water’s edge. Lots of locals with their Wellies and terriers, anoraks and shoulderbags, were out sloshing through the fields. Small children pushed their tiny bikes through muddy puddles; handymen tuned their chuffing canalboat engines at moorage. It all made for a nice afternoon outing: the walk along the Thames, tea and cake in town, a visit to the Spencer Gallery. Increasingly, these days out together, apart from the week, seem like the best balance from the travel to meetings, design and documentation, that fill the rest of my days. My new passport arrived today, ten days ahead of when the Embassy promised to deliver it. It feels sort of odd to have a clean, thin document again, pages crisp at the edges and unmarked by visa stamps. Strange, too, to see an expiration date of 2027. Where will I be when that date rolls around, 72 years old? Stranger still is the question of what security there really is in these documents. My nationality is as a US citizen, permanent UK resident, and Netherlands long-term resident. My domicile of origin is American, my domicile of choice is European. It’s all a bit tangled, moreso with Brexit which will split my Dutch and British status in unknown and possibly contradictory ways. And, as the recent ban on US entry to Green Card holders demonstrates, while citizenship is a right, residency is a privilege. A ‘Green Card’ is a document conferring permanent US residency. It is earned by living in the US for years, taking integration tests, passing government reviews and documentation checks, spending a majority of time in the US for many years, and not engaging in any activities that are either illegal or economically dependent. 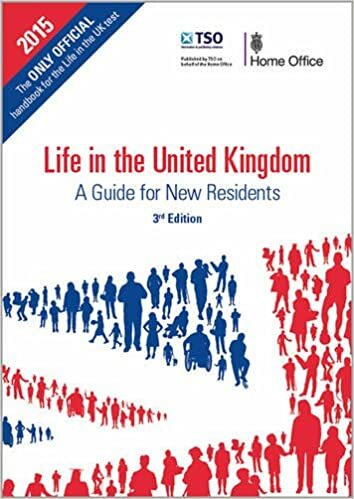 It’s not much different in the UK and NL: 5 years uninterrupted permit, civil integration including language and culture, maintain nationality, yearly review of status, and a history of tax payments on economic contributions. The process is time consuming and expensive, takes persistence and resilience, and establishes beyond doubt your personal and political history and intentions. Charles Cooke wrote a thoughtful piece on this topic last week in the National Review, a respected conservative US magazine. He reminds the nativists that permanent residents are, indeed, different. By law and by expectation, this country is their home; their base; the ground in which their roots are planted. Because of this, permanent residents are able to purchase, own, and carry firearms; they are required to register with the selective service; and they are treated for tax and welfare purposes as are U.S. citizens. They can’t vote or serve on a jury, but, other than, they effectively enjoy all the liberties that natural born Americans enjoy. When they re-enter the country, the agent says “Welcome Home,”. They are not Americans, and they mustn’t pretend to be. But they are as close as one can get without being one. I do feel a bit threatened and insecure when British and EU politicians talk about yearly fees for residents and of reinstating visa fees. I worry that barring permanent residents from the US invites the same at other borders. And dual citizenship should not be a litmus test for loyalty or patriotism. Our family immigrated to the United States in the late 1970s. We left behind our friends, our family, our language, our customs and everything we knew. We squeezed everything that was important to us into two giant, seventy-kilo bags per person, and still managed to have room to wedge in our hopes and dreams.